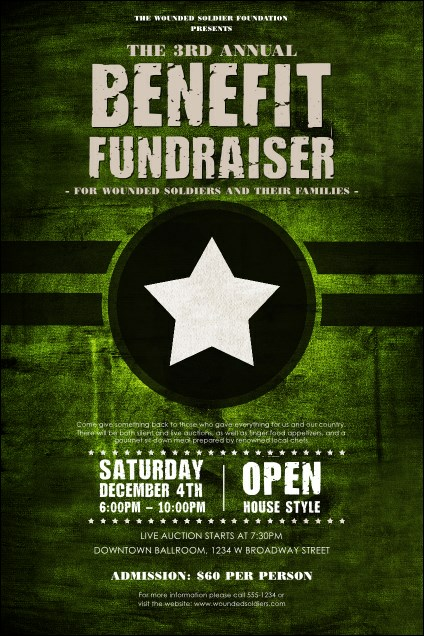 Add some ammo to your event promotions and advertise with the Military Poster. This versatile design can be used for a variety of events, from homecomings to fundraisers to family dinners. Black stripes and a dark circle hold a bright white star on this gritty template.